Not everyone has that attic like in the older days where there was almost an entire level up there that could be lived in! Most people have trusses and lots of insulation and not really the room to start putting boxes of last years Christmas decorations without them falling through the ceiling. 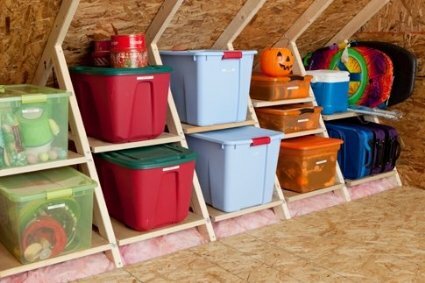 I came across this really cool way to use the attic trusses as part of the attic storage. This would be the perfect way to store holiday and seasonal items. 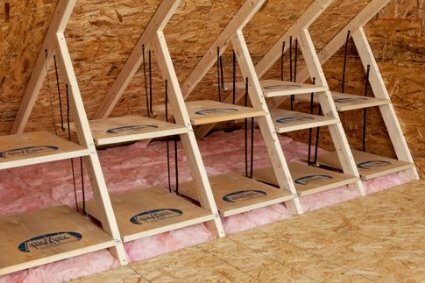 You can put them into tubs and then once you install this system which is designed specifically for angled attic trusses you now have the use of a lot of space. This gets the items out of your main living area and basement. Making it perfect for off season items. This shows you just how creative you can get with every corner of your house. Before you put anything into the attic though, you should quickly go through it and see if there are any items that you can part with. This way if you have to work your way into your attic, it will be for things you will use again. The problem with most modern attics, is that there is really no floor to walk on. You have the wood that runs along as floor joists, then the space in between is usually filled with insulation. You may not have very much height either, so you almost have to be a gymnast to work your way around the attic. Well if you would like to use that space for storage, it can cost a lot to install a regular floor. 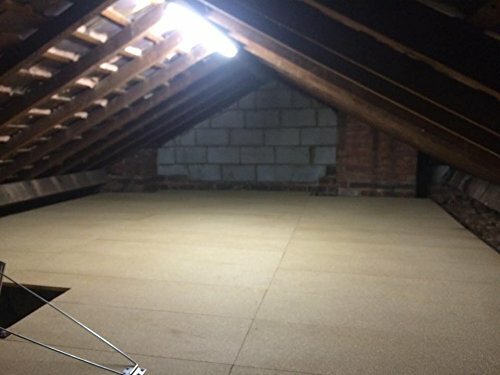 There is a product that makes life a little easier and not only creates the floor that you can now walk or crawl on, but now can be used for the attic storage that you desperately need. No more planks of wood spread across the joists! These square attic deck tiles have been designed to fit the floor joists of houses. There are 5 prefabricated holes in each tile that are then screwed to the floor joist quickly. There is no measuring or cutting. You can make your own design, such as a simple path or a large area for storage. They are very strong, each tile can hold 250 pounds on its own. Once in place these attic tiles will create an instant floor for storage or a path to hard to reach places of your attic. You can combine this flooring system with the above attic storage ideas and now you have utilized some otherwise wasted space. This is a fast way to create instant space for all your extra storage. Ready to walk on, you can use tubs and organize everything from your seasonal items to simply things you don't need right now. Even with all that extra insulation in your attic for keeping the heating and air conditioning bills down, you can use this kit. ​It comes with metal beams that protect the height of the insulation so you are not squishing it down. It is worth taking a look at if you want an easy access to the room in your attic for more storage.